Beatriz (Betty) Manetta is President and CEO of Argent Associates Inc., a tech-centric, software development and integration firm with a national footprint and main offices in Edison, NJ and Plano, TX. Ms. Manetta holds a Bachelor of Science degree in Accounting and Marketing from Rutgers University and a Master of International Studies from Seton Hall University. She was the recipient of the Beta Gamma Sigma Award from Seton Hall for her significant contributions to the strength and vitality of the economy combined with her business service achievement to humanity. Ms. Manetta spent over 20 years in Corporate America, primarily in the telecommunications industry, before leaving to launch Argent Associates Inc., in 1998. During her corporate career, she held national and international assignments in technical support, sales, human resources and quality management and control. Named as one of the TOP STEM 100 Executives in the nation, Ms. Manetta believes true business success is interdependent upon the success of the community. She takes her commitment to continuous learning and social responsibility seriously. Ms. Manetta is a champion of ethnic minority, women and small business education and engagement. She served on President George W. Bush’s President’s Export Council, where she advised on international trade matters and their impact on small, women and minority businesses and chaired the sub-committee of Technology and Innovation. 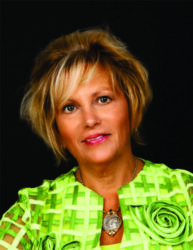 Betty Manetta is committed to continuous learning and social responsibility. She is a champion and advocate of minorities, women and youth around STEM Initiatives. She serves on numerous boards at the local state and national level. Ms. Manetta serves on several boards including D/FW MSDC, where she is the MBEIC Chair, Tech Titans, TIA, Seton Hall University Board of Regents, QuEST Forum, U.S. Hispanic Chamber of Commerce, Greater Dallas Hispanic Chamber of Commerce and the Women’s Business Council Southwest. She has received numerous awards locally and nationally for her leadership and commitment to excellence. Joyce Hart joined Argent Associates in 2001 and is responsible for the daily operations of the business including accounts receivable, customer service, project management and human resources. Prior to joining Argent Associates, Joyce worked at Lucent Technologies as AT&T’s Customer Business Unit Process Development Manager managing AT&T/Lucent Strategic Partnership Council, customer satisfaction survey coordination, annual program metrics and sales tools. AT AT&T Network Services, Joyce supported the Local Infrastructure and Access Management Unit where she was responsible for executive communications and coordination of staff meetings, employee dialogue sessions, vendor meetings and special events. Joyce also worked for Western Electric for ten years where she held various administrative positions in the Electronic Components, Operations Systems, Distribution and Repair Services and International and Strategic Business Development business units.